Forget the Kate Effect (as in the Duchess! ), the ladies of Great Britain swoon for Pippa—or, rather, her engagement ring! According to WhoWhatWear, Pippa’s gorgeous Asscher-cut engagement ring has sparked a trend. 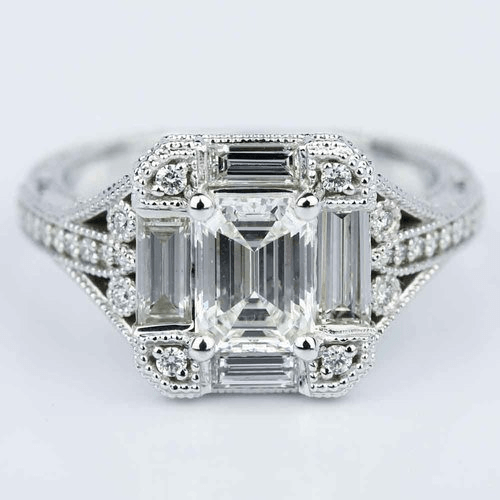 The top request for engagement diamonds in Great Britain is now the vintage-inspired Asscher. While Pippa is turning heads with her sleek and stately Asscher, other engagement ring trends are popping up elsewhere in Europe. Countries like Italy, France and Spain know about style. Paris, Milan and Madrid hold style court in Europe, and these cities set the stage for what is hot in the world of fashion. So, what’s a girl to do if she wants to channel Euro Style? Pick the right engagement ring, of course! Here are 10 engagement ring trends that have been spotted around Europe. According to the site Atelier Dore, the engagement isn’t about the ring…it’s about love and romance. 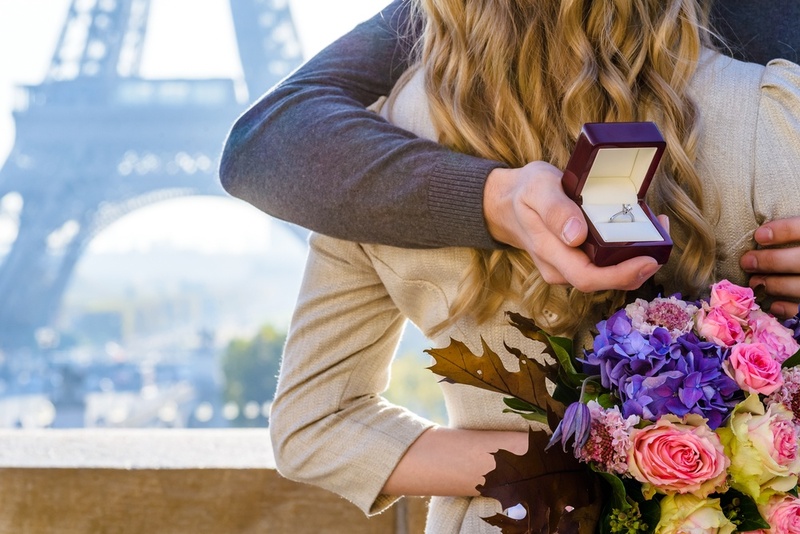 Read the comments under her narrative and get the tissues out, because French girls aren’t insane about their rings…but they are crazy for their husbands. Small diamond, big diamond, it doesn’t matter in France! One French jeweler has a selection of gemstone solitaire engagement rings. While available in the U.S., gemstones are still not the most common selection for solitaires. However, the rings are gorgeous, romantic and delightfully understated. Vogue Paris points to stack rings as one of the biggest trends. These are stunning statement pieces, but with a diamond peeking amongst the stack. Vogue, again, is the source of style. One of the major trends that the magazine features in France is the trillion diamond. 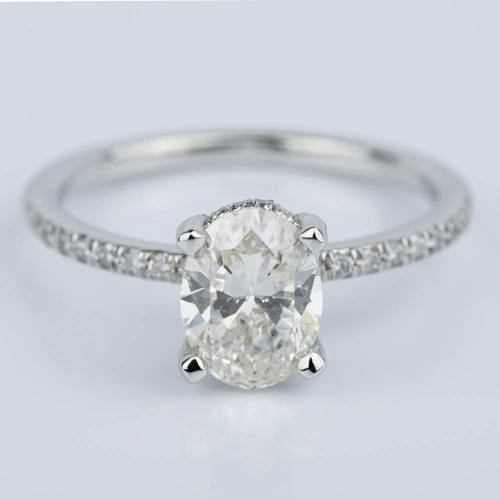 While often used as a side stone in American engagement rings, this unique shape is used as the central focus of an engagement ring. Italy is renowned for style—as evidenced by the bustling style metropolis of Milan. Designers across the world showcase their collections on the runways of Milan during Fashion Week. Italy is also the birth country of some of the oldest engagement ring traditions—dating back to ancient Rome when rings were made from Iron. 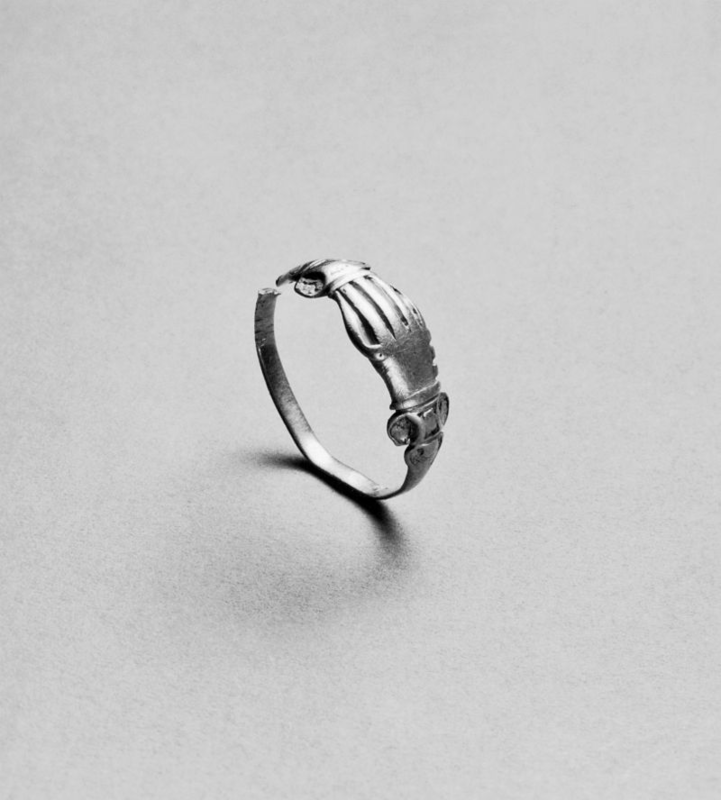 Rings, today, still hold parts of the past. 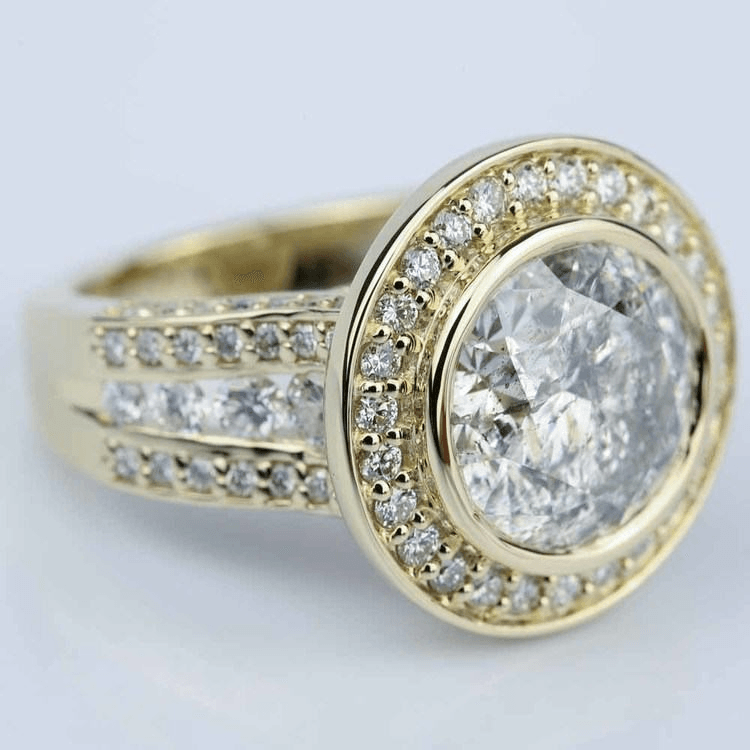 A Fede ring is an early Italian engagement ring dating back to the Roman era. Featuring two clasped hands, it symbolizes a betrothal and/or pledge of a couple to love one another. Fede rings may be used for an engagement rings or a wedding rings. In Sicily, engagement rings are seemingly rare, as they are expensive. Instead, couples may wear thin bands called Fedina rings. Although, Fedinas may be more similar to our Promise rings, as they are often exchanged between long-term couples. Yes, Pippa’s ring holds court in the U.K., but not every English lady is out for the Asscher. Like Italy and France, the U.K. has its own unique style. London is a buzzing bustling city with amazing fashion influence, and Ireland also has its own stunning engagement styles. Brides Magazine in the U.K. reports that the biggest must have look for engagement rings is a style called a hidden or “drop” halo. 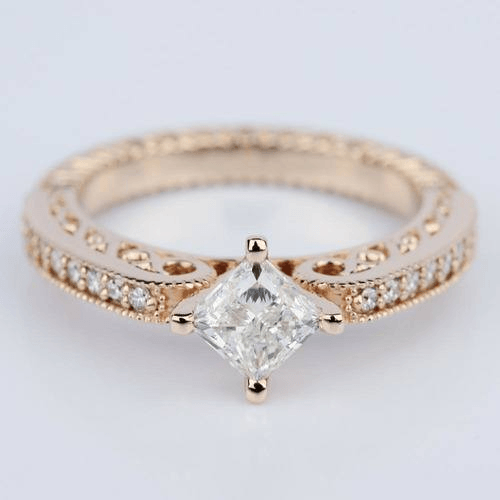 While a traditional halo circles around a centerpiece stone, a drop halo sits below the stone and setting (such as the four-prong rose gold setting pictured above). This design of diamonds creates depth and is a stunningly hidden treasure. In the U.K., vintage-inspired designs also reign supreme. The Vow vintage styles such as Art Deco, with its clean, architectural style, are one of the most popular trends for 2017. 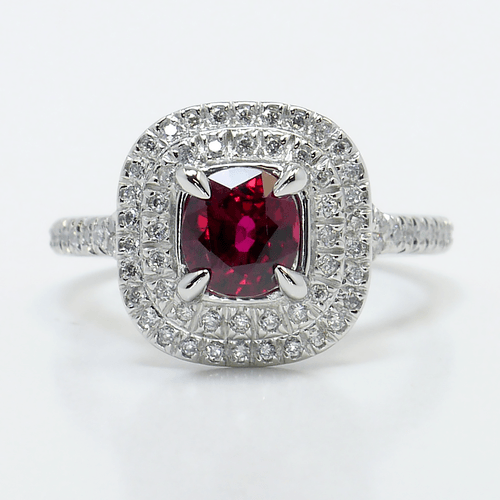 Forget traditional designs, a massively popular engagement ring trend is to use accent diamonds, gemstones, and finishes to create amazing designs and patterns. 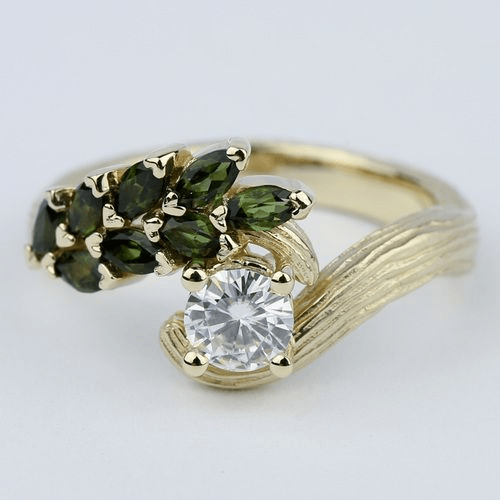 Custom jewelers can achieve unparalleled levels of detail in new ring designs when combining old and new techniques, such as lost-wax casting and 3D printing. Once the favorite choice for Victorian brides-to-be, rose gold is back in a big way and quickly becoming the metal of choice for English engagement rings. The romantic blushing hue is a beautiful choice for vintage-inspired settings and more whimsical designs. 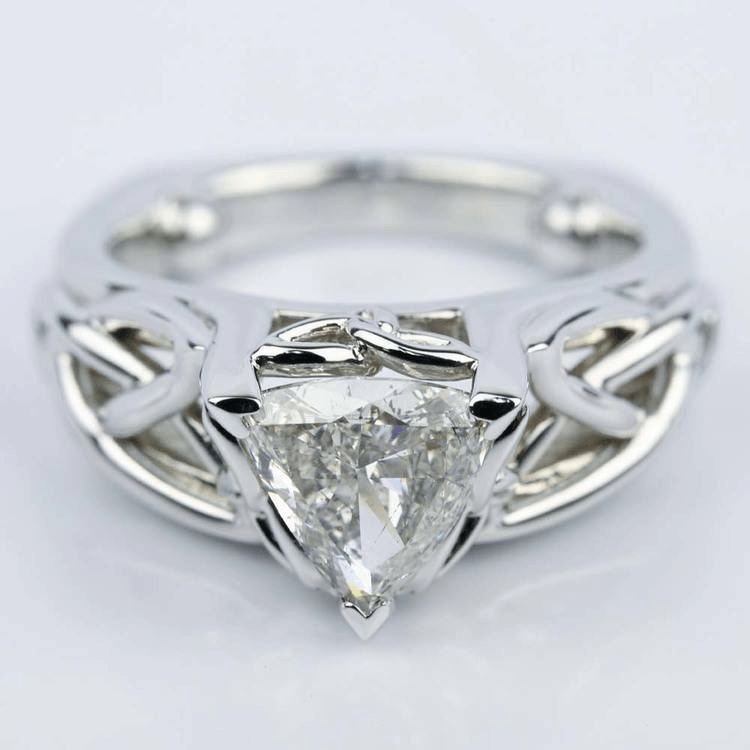 When channeling Euro chic style, we cannot overlook the traditional Irish Claddagh. Like the Fede, the Claddagh has its own unique history. 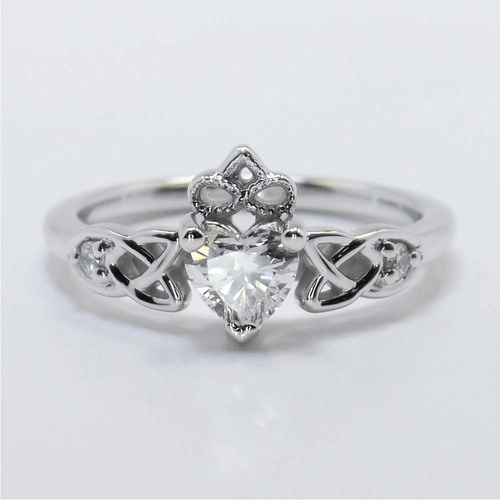 A traditional Claddagh features two hands holding a crown adorned heart, and how the ring is worn on the hand determines a woman’s relationship status. If you’re shopping for a unique engagement ring and want a touch of Euro influence, keep these designs in mind when choosing that perfectly stylized engagement ring.